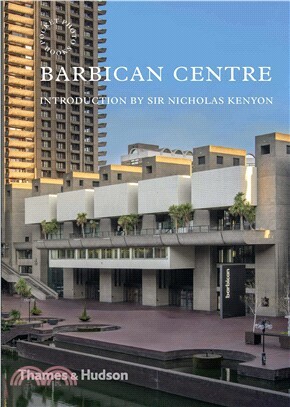 The Barbican Centre in the City of London is the largest multi-disciplinary arts centre in Europe. Designed by Chamberlin, Powell & Bon as part of the Barbican Estate and to provide homes for both the London Symphony Orchestra and the Royal Shakespeare Company, the building is internationally renowned not only as an example of radical, visionary architecture in the Modernist tradition, but also for its outstanding programme of more than 2,000 cultural events each year: plays, concerts, films, exhibitions and more. A new title in the Pocket Photo Books series of immersive visual guides to the experience of place, this compact album of more than one hundred photographs by Harry Cory Wright presents the dramatic spaces, rich textures and carefully selected materials of the Barbican Centre in all their detail. From the flowing, multi-level space of the foyer and the calm wooden-panelled concert hall to the surprising intimacy of the theatre and the soaring jungle of the conservatory, the Barbican Centre offers the visitor an extraordinary variety of experiences within a single building. This book captures their full range, providing exceptional insights into one of the most significant and exciting modern buildings in Britain and a thriving cultural hub in the heart of London.